The price is 38900 Euro. Check the technical data of the unit, picked out from the catalog of MAN TGL tipper. The details on engine output, gearbox and emission class are as follows: Euro 4, diesel, 239 hp, gearbox: manual. Wheel formula and suspension type: 4x2, number of axles: 2, ABS, trailer coupling. Cab comforts include cab type: day cab, parking heater, cruise control. 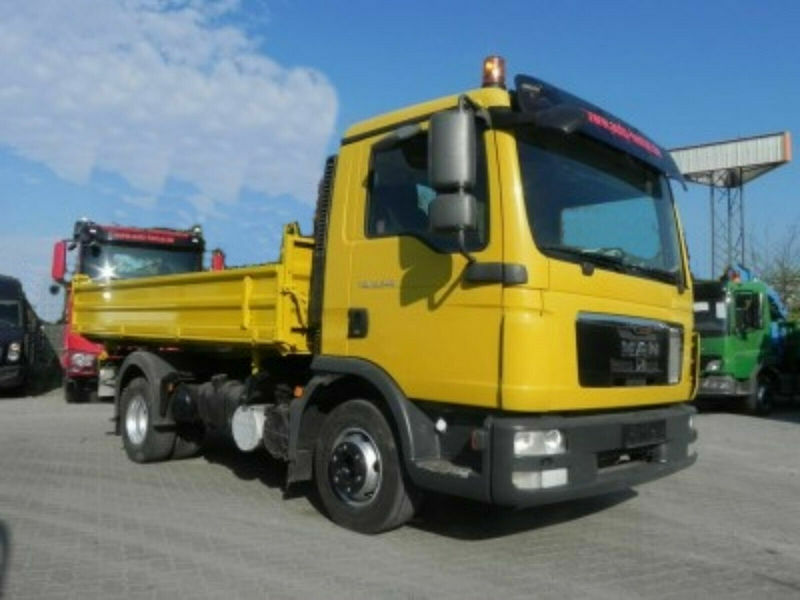 Bodywork: loading length: 4000 mm, loading width: 2350 mm, loading height: 500 mm, three-way tipper. The mileage is 126059 km.